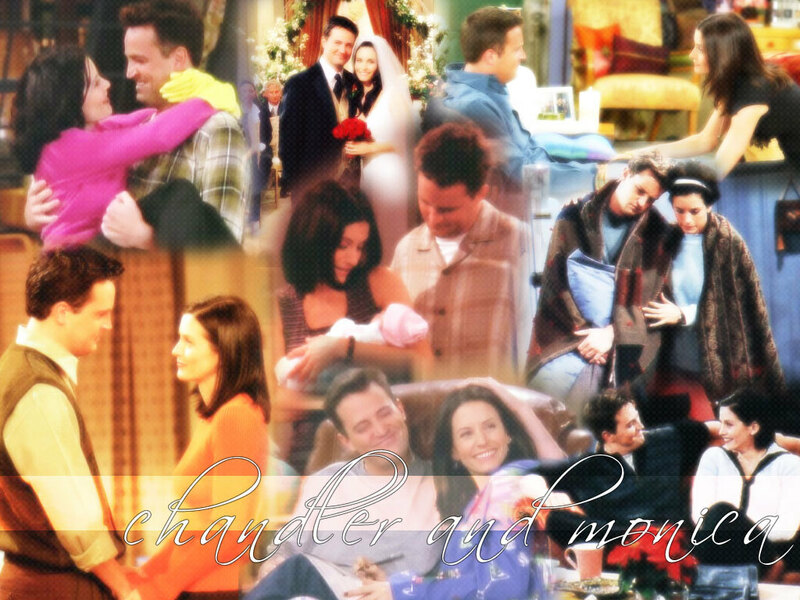 Monica & Chandler (Friends). . HD Wallpaper and background images in the parejas de la televisión club tagged: monica chandler matthew perry courteney cox friends wallpaper tv couples.